Driving Engagement and Conversions With Content | ASTRALCOM - Content Strategy, Conversion Marketing and Customer Acquisition. 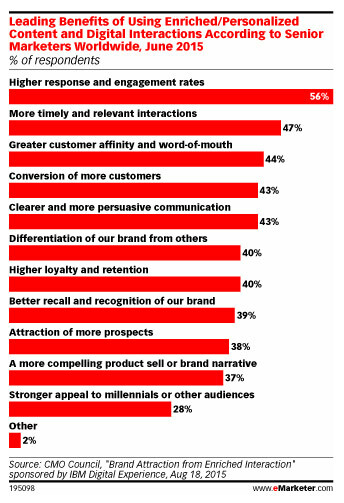 Personalization is good for the bottom line,” at least according to this eMarketer article, it is. The article ties the benefit of personalized to increased response and engagement rates, and boosts to conversions. Get conversions from your content marketing efforts. How? Click or call us at 800.536.6637 and let’s start a conversation.